There are many ways to encourage people. 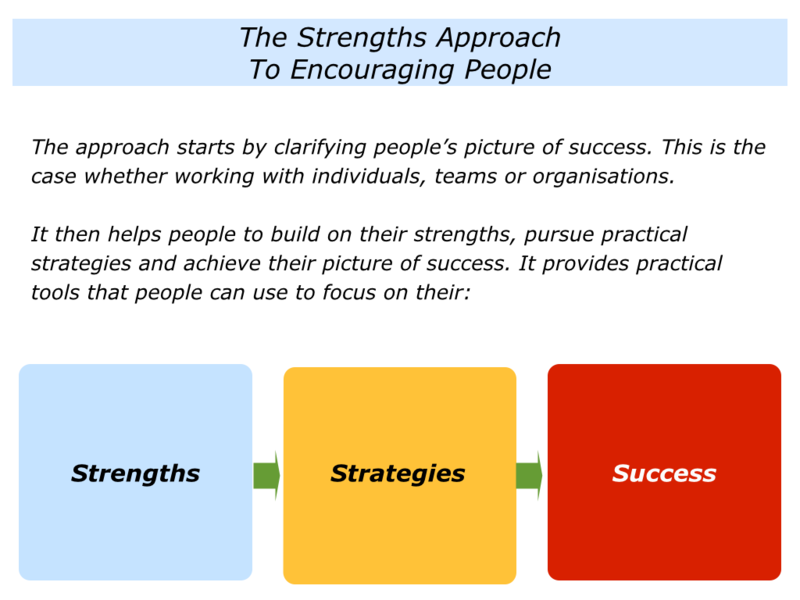 This approach helps people to build on their strengths and achieve their picture of success. It starts by clarifying people’s picture of success. This is the case whether working with individuals, teams or organisations. It then provides practical tools that people can use to build on their positive spirit, set specific goals and achieve their picture of success. Here are some of the questions that it is possible to ask at each stage of the journey. What are the person’s goals? Many people want to be loved, happy, successful and find peace. What do they want to do in their life and work? What are the team’s or organisation’s goals? Many have a particular view of success. They may, for example, want to improve their profits, products or people. They may also want to leave a positive legacy. What does the team or organisation want to deliver? Looking at a person, team or organisation, what are the real results they want to achieve? What is their picture of success? What will be happening that will show they have achieved their picture of success? When does the person show positive spirit? When do they come alive? What are the things that give them positive energy? When do they encourage other people? When do they follow their passion, translate it into a clear purpose and achieve peak performance? Looking at teams and organisations, who are the positive people? Where is the positive energy? How can people build on this positive energy? How can they build positive cultures that enable people to achieve ongoing success? What are the person’s strengths? What are the activities in which they deliver As, rather than Bs or Cs? What are the activities they find deeply satisfying? When are they in their element – at ease and yet able to excel? When do they go ‘A, B ___ then leap to ___ Z’? Where do they quickly see patterns? Where do they have good personal radar? Where do they have the equivalent of a photographic memory? Where do they score highly on drive, detail and delivery? When do they flow, focus and finish? Where do they have a track record of finishing? Looking at teams and organisations, what are their strengths? What are the activities in which they deliver As, rather than Bs or Cs? How can they build their As and manage the consequences of their Bs and Cs? What is the person’s successful style? What for them have been the most satisfying projects? What were people doing right then? What were the principles they were following? Looking at these projects, are there any patterns that give clues to their successful style? How can they follow their successful style in the future? Looking at teams and organisations, when have they performed brilliantly? What were people doing right then to perform brilliantly? What were the principles they were following? How can they follow these principles – plus maybe add other elements – to perform brilliantly in the future? If people want to make a living doing what they love, who are their perfect customers? What are the characteristics of these customers? What are the challenges these potential customers face? What is the potential customer’s picture of success? How can people use their strengths to help these potential customers to achieve success? Let’s return to people’s picture of success. What are their goals? What is the first specific goal that people, teams or organisations want to focus on towards achieving their longer-term aims? Looking at this goal, what are the real results they want to achieve? What is their picture of success? What are the specific things that will be happening that will show they have achieved the picture of success? Looking ahead, what are people’s options? What are the possible routes that people, teams or organisations can take towards achieving their goals? Looking at each of these choices, what are the consequences – the pluses and minuses – of each route? Which is the route that people want to take towards achieving their goals? Let’s move on to their chosen strategies. What are the key strategies that people, teams or organisations can follow to give themselves the greatest chance of success? How can they translate these strategies into actions? How can they deliver some early successes? What support do people need to reach their goals? How can they get this support? How can they encourage themselves on the journey? Looking at teams and organisations, how can they get the right support? How can they make sure they get the right people implementing the right strategies in the right way? How can people perform superb work? How can they keep following good habits? How can they keep doing the right things in the right way every day? How can they keep doing the basics and then add the brilliance? Looking at teams and organisations, how can they keep their eyes on the goal? How can they co-ordinate their efforts to achieve their goals? How can they provide great service that satisfies their customers and other stakeholders? How can they help those people to achieve success? How can people anticipate potential difficulties? How can they prevent these difficulties happening? How can they manage these difficulties if they do happen? 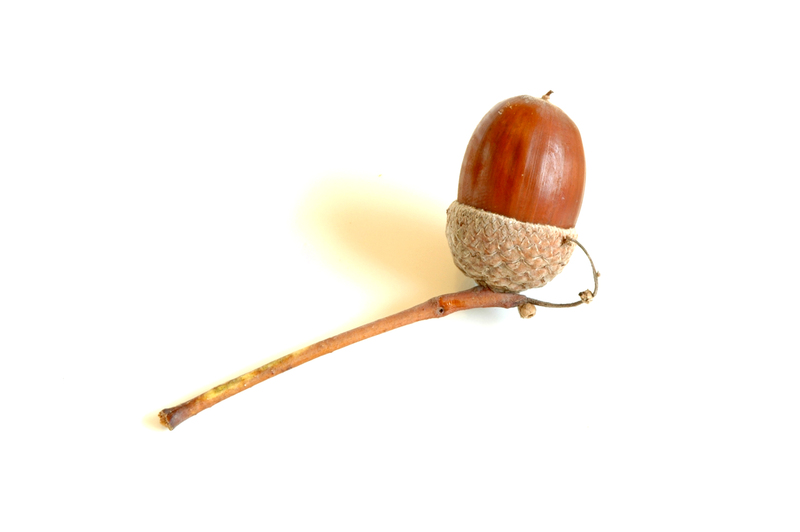 How can people, teams and organisations find creative solutions to challenges? How can they do this by focusing on clarity – the real results to achieve – creativity and concrete results? How can people, teams and organisations achieve their goals? How can they finish successfully? How can they do whatever is required to achieve their picture of success? How can they add that touch of class? How can people keep developing? How can they focus on: a) The specific things they do well and how they can do these more in the future; b) The specific things they can do better in the future and how? How can they take the next step in their development? How can they pass on their knowledge to other people? How can they continue to build a positive planet? There are many ways to follow these steps. In my own life, for example, this has often involved encouraging people to build on their strengths and, when appropriate, build super teams and superb organisations. But each person will find their own way.